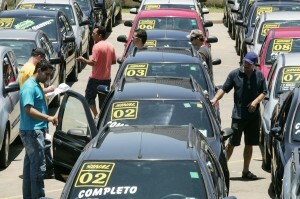 When Fred Diaz joined Nissan in April 2013 to lead the company’s day-to-day operations in the U.S., he was pleased by the robust figures that spelled out how much the automaker was slated to spend on ads aimed at Hispanics. “There was no need for me to do any arm-twisting or insisting that we needed to do more,” says Diaz, who had previously served as CEO of Chrysler’s Ram Truck division, and is credited with helping build the truck into a popular brand with Hispanic consumers. Nissan and other big companies, including McDonald’s and Walmart, are flexing their marketing muscles to reach the $1.2 trillion Hispanic consumer market. The population will account for about 11 percent of all purchasing power by 2017, according to projections by the Selig Center for Economic Growth. Hispanic media spending in the U.S. grew to $7.9 billion in 2012, according to Advertising Age magazine, which also reported last year that Walmart set out to double its multicultural marketing as part of an initiative to enhance outreach. 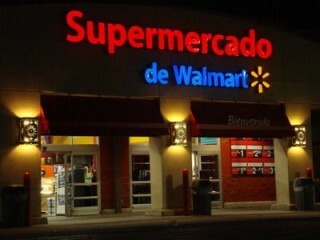 For those efforts, Walmart received the first Marketer of the Year award by AHAA: The Voice of Hispanic Marketing. The retailer spends about $60 million annually to reach Hispanics with ads that many marketers describe as routinely successful. Leaning on a celebrity is a time-tested strategy. Ram Trucks and Pepsi Next are making use of some of the biggest Latino names in entertainment today. Ram launched its “A Todo, Con Todo” campaign for its 1500 truck, featuring Colombian recording artist Juanes in both Spanish and English ads. Pepsi Next tapped Cuban-American actor William Levy in bilingual spots. “It’s a pretty exciting time, and the (Latino) community is coming into its own by embracing, like never before, these cultural elements such as music, food and novelas,” says Jorge Plasencia, chairman and CEO of República ad agency in Miami. Dual-language campaigns resonate, as do spots emphasizing the importance of family. The Home Depot relied on the theme last year with its “Small Projects” TV spot that showed a family pitching in to spruce up their home. In May, Wendy’s, which lags behind McDonald’s, Burger King and Taco Bell in favorability among Hispanics, created the Rojo family as the centerpiece of its ”Mucho Mejor” campaign. 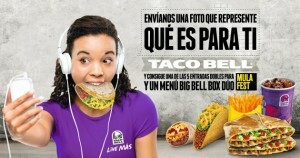 The fast-food chain increased by double digits its Hispanic media purchases. Jose Luis Lopez of Lopez Marketing Group in El Paso, says Tecate is one of several companies taking creative chances and employing a sense of humor. “Every decade was going to be ‘the decade of the Hispanic’ starting in 1980, and now it’s really here,” he says.